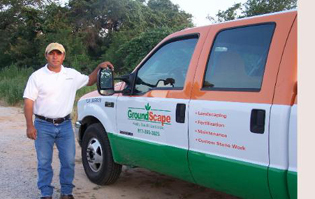 GROUNDSCAPE SOLUTIONS, Inc. has been serving the Greater Fort Worth area as a professional landscape installation firm for over 10 years. We specialize in the professional installation of landscape plantings, walkways, patios, retaining walls, landscape lighting, arbors, pergolas, water gardens and other landscape amenities. We will enhance the beauty of your home or business by installing an artistic and practical landscape suited to your specific needs. Your satisfaction is very important to us. From start to finish, our staff will make every effort to keep you informed and involved in your outdoor improvement project.